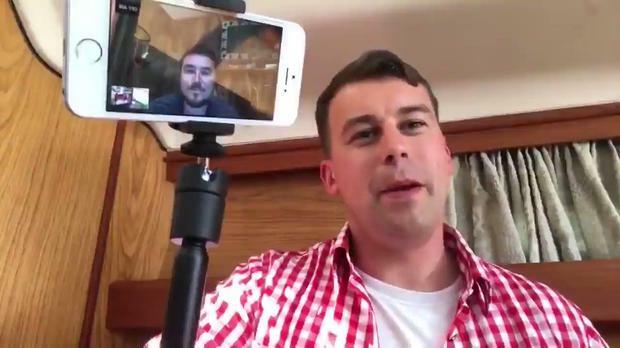 In the video, he was talking with neo-Nazi former U.S. Senate candidate Patrick Little. Little ran as a Republican for the US Senate in California this year, where he called for the United States to be “free from Jews”. His dad keeps going, saying: “I want this to stop in my room, Jason, this is my room,” resulting in Kessler going off camera to deal with the situation. The 34-year-old goes on to explain to Little that legal costs associated with last year’s Unite the Right rally meant that he had to move back in with his parents. Kessler complained that his parents watch “constant anti-German propaganda” on the History Channel. He described them as “cucked”, a derogatory term used a lot by young men on the far right. The video has been circulating online for a few weeks but only garnered widespread attention this week. It is Kessler’s second embarrassment in a month. He organised a Unite the Right 2 rally in Washington DC earlier this month. While he was expecting about 400 people only about 20 white supremacists came to the rally. More than 1,000 counter-protesters were there. During the rally in Charlottesville last year, Heather Heyer was killed when a self-described Nazi drove his car into a crowd of protesters.